Choices can be overwhelming – that’s where a designer can really help you out. You don’t have to be extravagantly wealthy to hire a designer (although if you are, my business line is 402.660.7703). I strongly suggest the following for any first-time clients out there: take your designer for a test drive. Don’t panic, and don’t give in to second thoughts about your design sense. 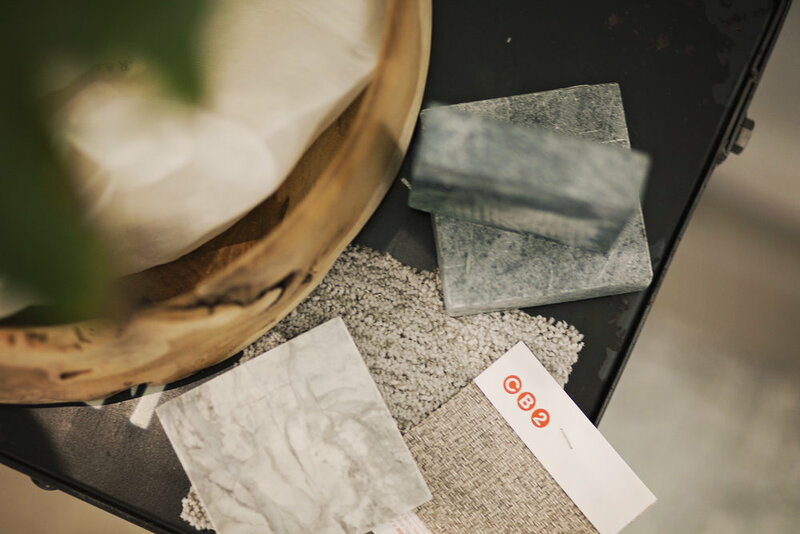 Instead, grab two or three samples for each item you need (flooring, tile, countertops, cabinet finish – you get the idea) that grab you, bookmark a few lighting and plumbing fixtures that caught your eye online, then call a designer and schedule an hourly consultation meeting. If you do the initial legwork, that’s time your designer won’t have to spend pulling suggestions for you. He or she (ahem) can come to your house, review your selections and create a cohesive plan for your project. He or she can also help settle differences of opinion between couples or others with a say in how the project goes down. Don’t worry if you don’t have options for every item you need at your initial meeting (maybe your brain simply shut down after 75 minutes of roaming through the carpet stacks). Once your plan is in place, it will be easier for you to go back and fill in the blanks, or you can ask your designer to go with you to pick out the last few items. At the end of the day, your designer only bills you for a few hours of his/her time, and you’ve got a professionally designed space that reflects your design choices. More importantly, you’ve kept your sanity throughout the process so you can now enjoy what you’ve helped create. Until next time, I’ll be keeping on eye on design for you.